Joanna Morgan Designs: We Are in "425 Magazine" Holiday Shopping Guide! We Are in "425 Magazine" Holiday Shopping Guide! 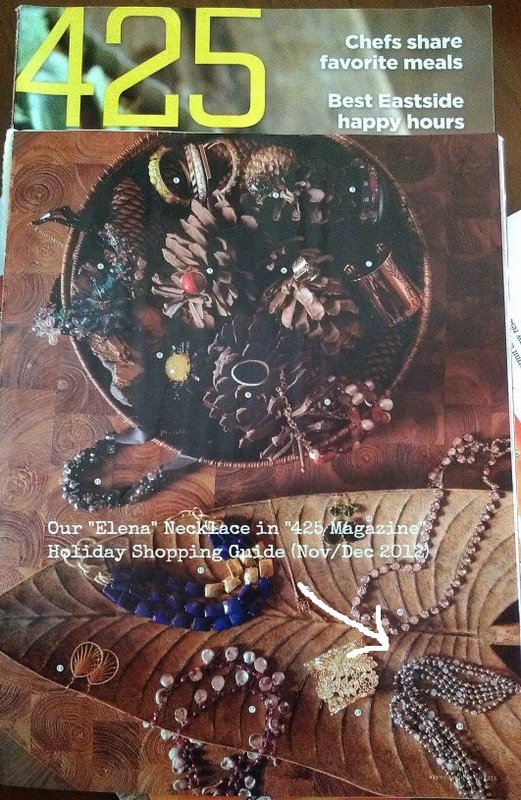 Our Elena Necklace has been included by "425 Magazine" in their Holiday Shopping Guide! It is fun to see it beautifully photographed and in company of other locally crafted jewels. The guide is in the magazine's November-December 2012 issue. Joanna Morgan Designs. Simple theme. Powered by Blogger.